Sunday Quote!- The Desperate Lights of Genesis? | J.W. Wartick -"Always Have a Reason"
Sunday Quote!- The Desperate Lights of Genesis? The Source of Light: A Desperate Bid? Although I’m not sure I would qualify this move as “desperate,” I do still wonder how, exactly, one is to define the days of creation and a “literal” evening and morning without the actual solar bodies. I mean, realistically, what does it mean to say there is “evening” without such a reference point? Interestingly, some concordist positions (concordist meaning views which seek to explain the Bible in light of science or vice versa–and would encompass both young and old earth creationists of various types [see my taxonomy of positions]) actually take this to show that the days are not indeed 24 hour periods. What are your thoughts on this issue? Do you see this move as desperate or do you think its perfectly reasonable? Somewhere in between? Why? 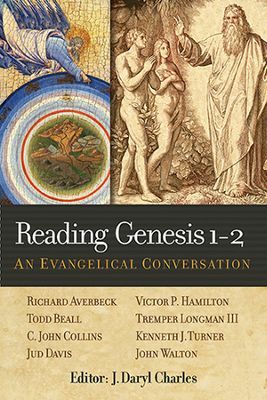 Tremper Longman III, “What Genesis 1-2 Teaches (and What It Doesn’t)” in Reading Genesis 1-2: An Evangelical Conversation edited J. Daryl Charles (Peabody, MA: Hendrickson Publishers, 2013). It is a desperate move. What people forget is that you don’t just need the light from the sun. You need the same amount of light in the same distribution of wavelengths as well as the gravity from the sun for life to exist. To postulate that God just miraculously provided those exact things then switched them for the actual sun on day 4 would be very ad hoc. It would be almost akin to saying that God created us all 3 minutes ago with all of our memories to make us think we of our current age. From an observer’s standpoint there would be no difference between the fake sun prior to day 4 and the real sun afterwards. Why do that? Good point! If one employs miraculous explanations in ad hoc fashion (without the need to place restrictions on such explanations due to God’s omnipotence), one is merely using one’s own ingenuity to pile explanation on top of explanation in order to save the appearance of the Bible’s scientific veracity. But with such a pile of ad hoc explanations one winds up with creationist systems that resemble (metaphorically speaking) ye olde Ptolemaic system of epicycles. Such ad hoc explanations merely exist to avoid having to adopt a new paradigm of how the planets move around the sun. I have left additional comments below concerning the ancient’s belief that the light of morning was indeed of a different sort and source than the light from the Sun. I think the best thought out concordist answer to this the OId Earth Creationist view of Hugh Ross, Reasons.org. Genesis 1 doesn’t talk of the sun and moon being created on day four, but God making lights in the sky. The sun and moon already existed since God created the heavens and the earth, but they weren’t visible because of dense cloud in the earth’s early atmosphere. Enough light would have been getting through for plant photosynthesis and to distinguish day and night. But it was only on day four that the cloud layer cleared enough to see the sun and moon as distinct lights. Used to hold a similar position myself when I became a theistic evolutionist. My position now is that the days are as literal as the hours of the day in the Parable of the Labourers. They are literal within the parable, but are not meant to signify any particular timespan when we look at what the parable means. Dr. Ross says that God created the sun and moon right at the start with “heaven and earth” per Gen. 1:1, and that the description of the sun and moon being “made” and “set” in the “firmament” on “day four” is merely a description of clouds parting. But that’s not what the text says. Genesis 1:1 states, “In the beginning God created the heaven and the earth.” This opening line is often misinterpreted as stating literally that God instantly created heaven and earth and all that is in them, boom! Instead, it is merely a preamble, a summation in one line of the story that one is about to read–because _how_ heaven and earth were created and filled with things is all explained afterwards. Earth is called out of the unformed watery darkness, and heaven is created by separating those primeval waters; Still later, heaven is filled with sun, moon, stars. The Babylonian creation epic, Enuma Elish begins with an opening line that summarizes the story one is about to read, namely the story of the creation of heaven, earth, sun and moon. It begins, “When on high no name was given to heaven, Nor below was the netherworld called by name. . . . When no gods at all had been brought forth, None called by names, no destinies ordained.” (See also Mark S. Smith’s discussion in The Priestly Vision of Genesis of both the cultural and linguistic justification for translations of Genesis 1:1 that read, “When God began to create. . .” Smith is an OT scholar specializing in a study of ancient creation stories, and ancient notions of high moral gods, henotheistic gods of the ancient Near East). Genesis 1:2 agrees with the beginning of Enuma Elish, that in the beginning nothing had yet been formed/named, “And the earth was without form, and void; and darkness was upon the face of the deep. And the Spirit of God moved upon the face of the waters.” Speaking of these primeval waters, note that they have a “face” upon which the spirit of God could move, implying that the waters were flat, as was their cosmos as we shall see. Also that both Enuma Elish and Genesis 1 begin with primeval waters—with what one might call a Big Splash rather than a Big Bang—out of which heaven and earth are eventually made (compare 2 Peter 3:5 in the NT, “The heavens existed long ago and the earth was formed out of water and by water”). The Egyptians likewise envisioned their flat-earth cosmos as being surrounded by primeval waters lying above and beneath and all around the earth. The “deep” is mentioned not only in Genesis 1:2 but also in Genesis 49:25, which, according to Smith, “lists blessings of various divine figures, including the ‘blessing of Heaven above, blessings of Deep crouching below’ (see also Deuteronomy 33:13), and ‘Deep’ in this passage is feminine [as was the Babylonian sea goddess, Tiamat]. . . . [Moreover,] Heaven and Deep are both divinities related to cosmic origins in earlier West Semitic tradition.” Smith adds, “It is not necessary to see a particular Mesopotamian background at work behind Genesis 1 in order to compare tehom [the Hebrew “deep”] with Tiamat. This word for ocean occurs in the Ugaritic texts not only in the god-lists, but also in mythological contexts. . . . [And,] tehom in a battle context is an old West Semitic idea and not just a Mesopotamian one.” Nor do all creation stories employ battle contexts. Some are as serene as Genesis 1. One Babylonian story that was recited during the building of temples and that featured Marduk as creator began, “All lands were sea. Then there was a movement in the midst of the sea.” Some Egyptian stories began with a god (Amon) moving over the face of divine waters (Nu). God names the first light, “Day,” meaning the light of daytime on earth, and sets up a numbered sequence of earth-days. Naturally, if one is writing a story in which every act is performed so that the earth may appear and become the lower half of creation, then there’s nothing odd about beginning by creating “earth days, earth time.” But modern astronomers know the earth is not the lower half of creation, it’s a planet, and each planet and moon keep their own unique time, “earth time” is not universal. So, there is evidence that ancient Near Easterners, including ancient Israelites, viewed the light of Day as separate from the light emitted by the Sun. This makes sense of Genesis without having to employ Dr. Ross’s ad hoc cloudy explanation. Dr. Ross his added his own inventions to the text, of clouds parting when no such clouds are mentioned and the text plainly says the sun and moon were “made” on day four and “set in the firmament” on that day. Moreover, it would be odd if the fourth day of creation involved no creation, but simply clouds moving about. And as I said about Gen. 1:1 it is a preamble that summarizes the story to come, it does not say that the heavens and the earth were created with everything in them right at the start. In fact, it says in the next verse that everything, including heaven and earth was without form and void, and had to be called out of that void. It also says the creation of light on day one was the first day God started creating anything. It was the first time God spoke words of creation. As for where the formless darkness came from, ancient creation tales took it for granted that it existed “in the beginning.” So Genesis 1:1 is only saying _when_ creation took place — “in the beginning” — rather than saying God created everything at once, earth and heaven and all that is in them. 4. God clearly started the pattern of evening, morning on Day 1. After all, the light was separated from the dark. They just weren’t being governed by the sun, moon, and stars yet. I have on occasion seen a Young Earther put forth just this kind argument (usually so concisely unfortunately). 1. Every creation is treated the same every other. 2. The creation days after the sun, moon, and stars were created were clearly 24 hours. 4. We can reasonable conclude that God was governing days that were the same length as the ones after He appointed the constellations to take over the job. 5. Throughout the rest of scripture, the days have 24 hours. 6. Therefore, the creation days governed by the sun, moon, and stars are 24 hours. 7. Therefore, the days before the sun, moon, and stars were 24 hours. Again, I never see this argument articulated by them this concisely. But if they did, I have to say that I would not consider the arguments to be desperate, but to be sincere attempts at the reading and understanding what the scripture is telling them. I personally disagree with these arguments, because I think these arguments discard the subtleties of the wording of Genesis 1, as well as the commonalities between Genesis 1 and ancient near east creation myths. But I can never seem to engage them on the evidence of it… the scriptural arguments can be logical on their side to a degree… it’s bringing in the extra-biblical evidence where I see a desperation of sorts occasionally kick in. “Which is more important, the sun or the moon?” a citizen of Chelm asked the rabbi (“Chelm” being a village of Jews who lived in the shadow of the Inquisition).